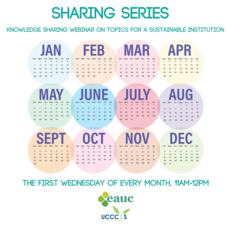 EAUC-Scotland's virtual 'Sustainability Sharing Series' October 2018 edition discussed Influencing Sustainable Food Choices. We have produced a best practice document from the knowledge exchanged during this session. It is available to download from the bar at the right of this page.